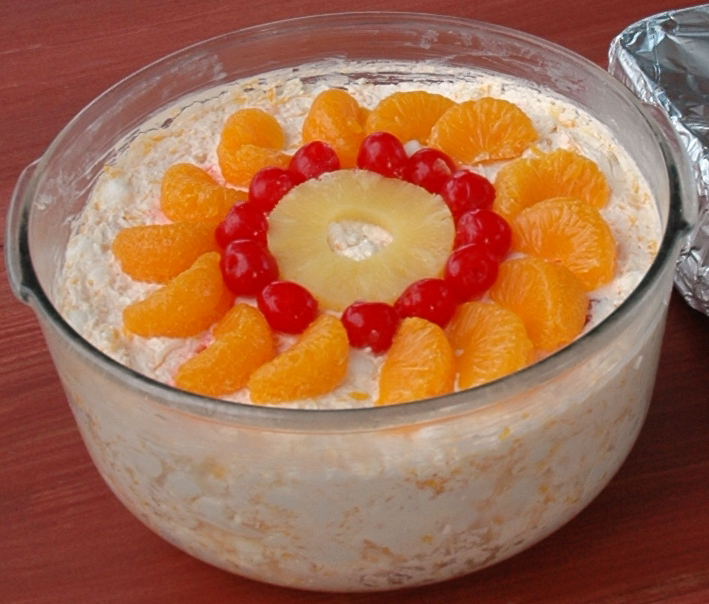 Ambrosia Fruit Salad is a sweet mixture of mandarin oranges, fruit cocktail, coconut, and marshmallows coated in whipped cream. 'Ambrosia' originated in the 1900's and had a period of popularity in the U.S. It is widely considered to be a traditional dish, suitable for family gatherings. Mix the mandarin oranges and grapes, fruit cocktail, in a large bowl. Fold in the whipped cream, sour cream and marshmallows.